Hii Everyone! I apologize for not posting for the last two days - It was my BIRTHDAY and I was out for the better part of those two days and well, I'm finally home and in front of my laptop. 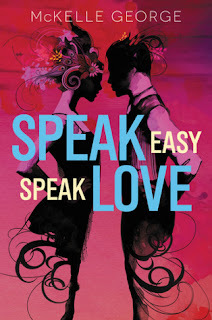 I have with me today another debut author whose book I JUST finished reading and fell in love with - Speak Easy, Speak Love. 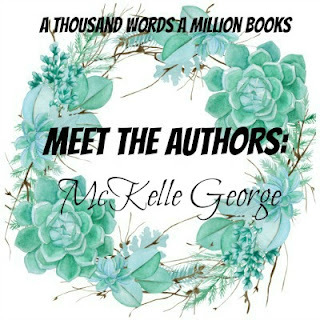 The amazing McKelle George wrote a GOREGOUS retelling of Shakespeare's Much Ado About Nothing, set in the 1920's, during the Prohibition and is centered around six teenagers who are a part of running an illegal speakeasy. Speak Easy, Speak Love is AMAZING and I'm so excited that I had the opportunity to have McKelle on the blog with me! Please do enter her absolutely amazing giveaway as well! 1) Which one of your main six characters from Speak Easy, Speak Love, can you best relate to / are most like? I like to think I put a little of myself in all of the characters, but I'm most evenly split between Beatrice and Benedick. Benedick got all of my writerly woes and ambitions and creative insecurity, and Beatrice got my complete lack of interest in social niceties. 2) Speak Easy, Speak Love takes place during the Prohibition, where alcohol was illegal. What, in your opinion, is the worst food (dessert/ drink/ main course) that could possibly be made illegal? I just did a tally of the past week, thinking of what I consume most often, and I have to say, if they ever put a ban on chocolate, my basement will be the first Sweeteasy because that's not a livable abstinence. 3) What were your thoughts the minute you saw the final cover of your book? Do you have older or other versions you can share with us? There are no older versions, surprisingly! The only thing we changed was to make the 'c' in my name lowercase so people would pronounce it correctly. I had no say on my cover. One day my editor emailed me and said she had final mock-ups, and I was so nervous I wouldn't like it, but I instantly loved it. Chellie Carrol, who did the cover illustration, is an amazing artist. And it's very gratifying to see posts from people saying the first thing that drew them to the book was the cover. 4) Could you describe your six main characters in a word or sentence each? 5) Hey Nonny Nonny is the name of the speakeasy in Speak Easy Speak Love. How did you come up with such an out of the box name? 6) Has the 1920's always been a subject of interest to you or was there a lot of research involved as you started working on the book? Oh yes. It's such a fascinating decade. In an ideal world, I would do a prequel or companion novel with Maggie and John as the stars so I could do more with the bootlegging gangs and night clubs (two things often intermingled and so incredibly interesting, but I barely got to touch on them). I've always liked the decade, and some of my favorite classics come from this time period: but I fell doubly in love researching for this book. 7) Can you give us any hints on what we might see from you next? (: (: I'm working on a magical realism Tempest retelling right now, and also a dieslpunk remimagining of the Arthurian legend--so we shall see! 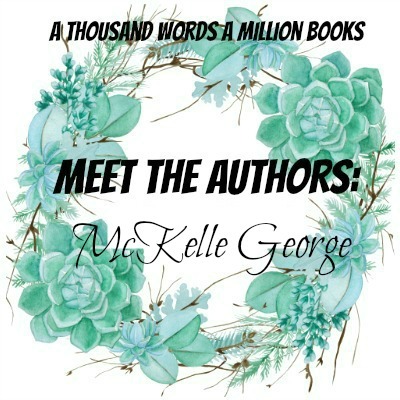 McKelle George is a reader, writer of clumsy rebels, perpetual doodler, and associate librarian at the best library in the world. She mentors with Salt Lake Teen Writes and plays judge for the Poetry Out Loud teen competitions (but has no poetic talent herself). 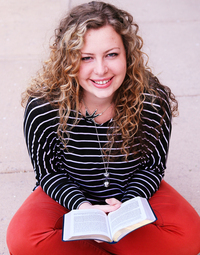 Her debut young adult novel Speak Easy, Speak Love comes out from Greenwillow/ HarperCollins in 2017, and she currently lives in Salt Lake City with an enormous white german shepherd and way, way too many books. Blurb Description: Six teenagers’ lives intertwine during one thrilling summer full of romantic misunderstandings and dangerous deals in this sparkling retelling of Shakespeare’s Much Ado About Nothing.